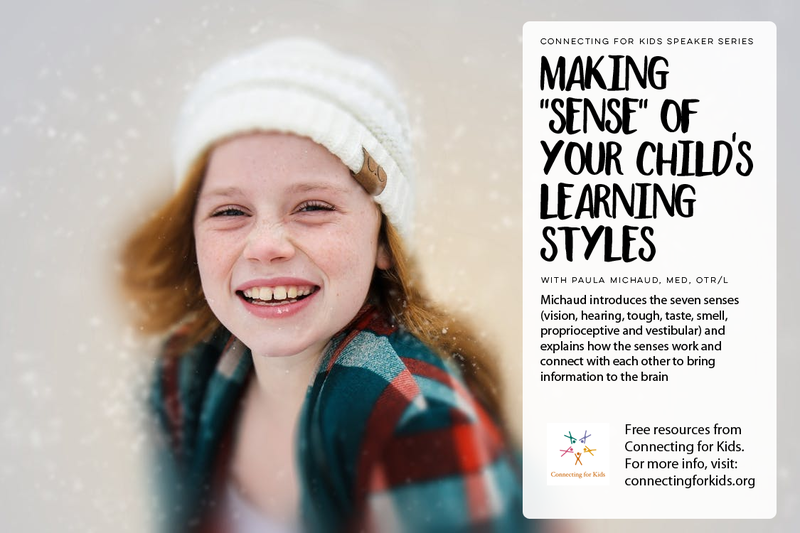 Michaud introduces the seven senses (vision, hearing, tough, taste, smell, proprioceptive and vestibular) and explains how the senses work and connect with each other to bring information to the brain. She then uses a highway analogy to demonstrate how critical information can get misdirected. Finally, Michaud addresses sensory modulation and several tools for determining how your child's sensory profile works.